Whether you’re looking to upgrade your small residential lawn or need a high-end lawn solution for your commercial lawn, artificial turf is an excellent choice. Offering lasting durability, minimal upkeep, and beautiful looking grass all year wrong, artificial turf from Ideal Turf gives your outdoor space the upgrade it deserves. Synthetic grass requires very little upkeep, but it’s important to complete your upkeep the right way. Otherwise, you may end up damaging your artificial turf, costing you even more money in repair and replacement costs. To help you understand how to properly maintain your lawn, here’s how to clean your artificial turf here in Fort Worth, Texas. Using the right tools to clean your lawn is a simple way to avoid costly lawn damage. Choosing the wrong tool can harm the careful turf grass installation and ruin the look of your lawn. Always use plastic tools when you’re maintaining your lawn. Tools that are heavy and made of metal may tear into the artificial turf foundation, which is difficult to repair. Whether it’s grass clippings or fallen leaves, a simple plastic rake with pliable tines is a must-have for any turf lawn owner. You may want to invest in a leaf blower if you have multiple trees in your backyard. The key is to use tools that won’t tear into the mesh that sits below the artificial grass. Tears and holes in your synthetic grass can be difficult and costly to repair. If you’re not careful, using the wrong lawn maintenance spray can damage your artificial turf. Harsh chemicals may sit in your artificial grass and slowly eat away at it, leaving your lawn looking patchy and dead. If you do use the wrong spray and realize your mistake, simply hose down your turf lawn and let the efficient drainage system wash the chemicals away. Organic sprays with minimal harsh chemicals are ideal for keeping an artificial turf lawn looking its best. When paired with extreme Texas heat, you need a natural lawn spray to wash away dirt and debris while keeping your lawn fresh. Simply spray down your lawn every few weeks to kill bacteria and rid your outdoor space of lingering odors. Heavy branches and other large debris can also damage your lawn, so it’s important to clear any heavy debris as soon as you notice it. Heavy debris that is left on the artificial grass may eventually break through the mesh barrier that creates the foundation of your artificial turf. 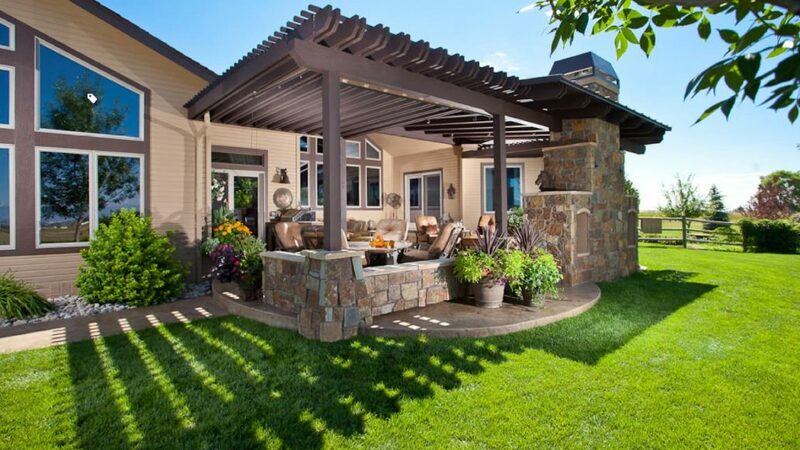 The key to any artificial lawn is a high-quality drainage and filtration system. Without proper drainage, your lawn may be left collecting dirt, debris, and bacteria. A quick wash with an effective detergent wash is all you need to spruce up your lawn, but even constant upkeep won’t be effective if your lawn is lacking sufficient drainage channels. At Ideal Turf, we believe in providing exceptional artificial grass in and around the Dallas, Texas area. While synthetic grass doesn’t take much upkeep, it’s important to do it right. For more information on how to maintain your artificial grass or to get started on your next turf project, contact the team at Ideal Turf today.